FERRARIO - [ Ostiaks ]. FERRARIO, G. - [ Ostiaks ]. [ Ostiaks ]. - FERRARIO, G.
Title : [ Ostiaks ].. Description :Aquatint depicting a Ostiaks people engraved by D.K. Bonatti, after drawings by C. Bottigella. 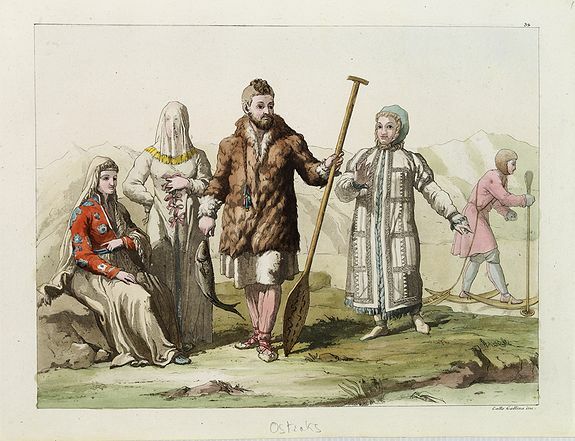 The Ostiak people are a tribe who inhabit the basin of the Ob in western Siberia belonging to the Finno-Ugric group and related to the Voguls. Plate N° 32. This aquatint engraved plate was color printed on fine move paper with additional hand-colouring.